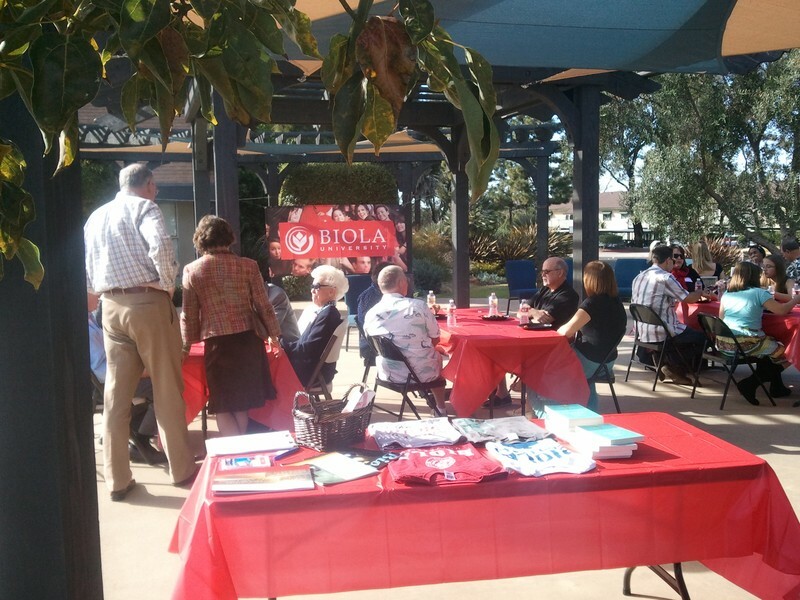 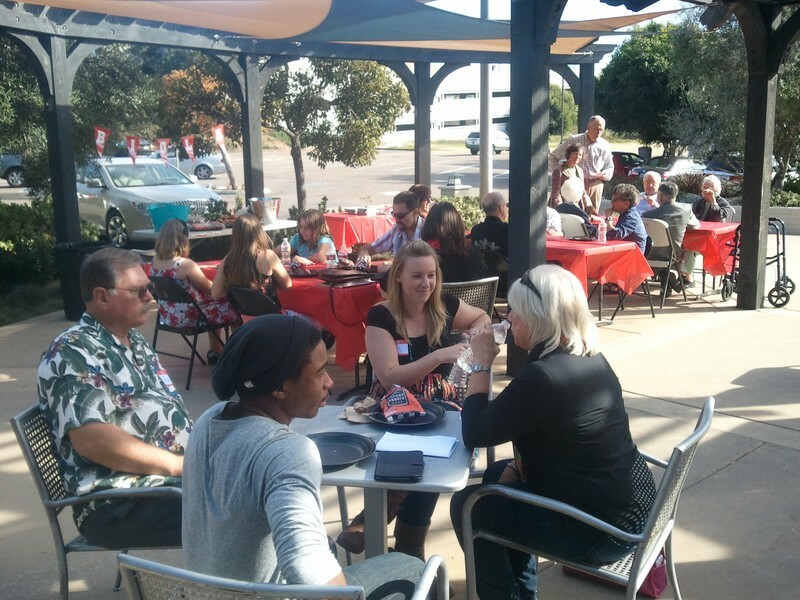 A great group of San Diego-area alumni, families and friends gathered Sunday 1/20/13 at La Jolla Community Church to meet and connect over lunch and a concert by the Conservatory of Music's "Gravity" saxophone quartet. 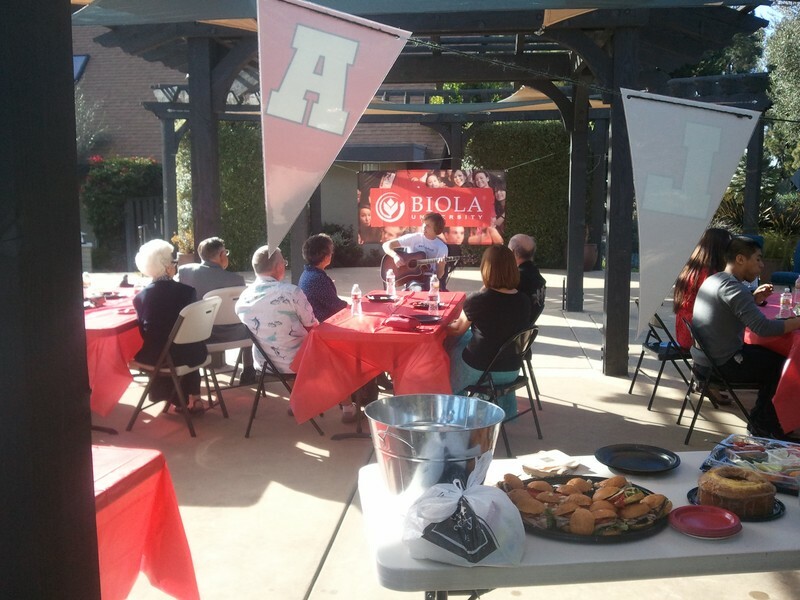 The creative program, from Brahms to a soulfully spirited rendition of "Amazing Grace", made for a pleasant afternoon on the sunny patio. 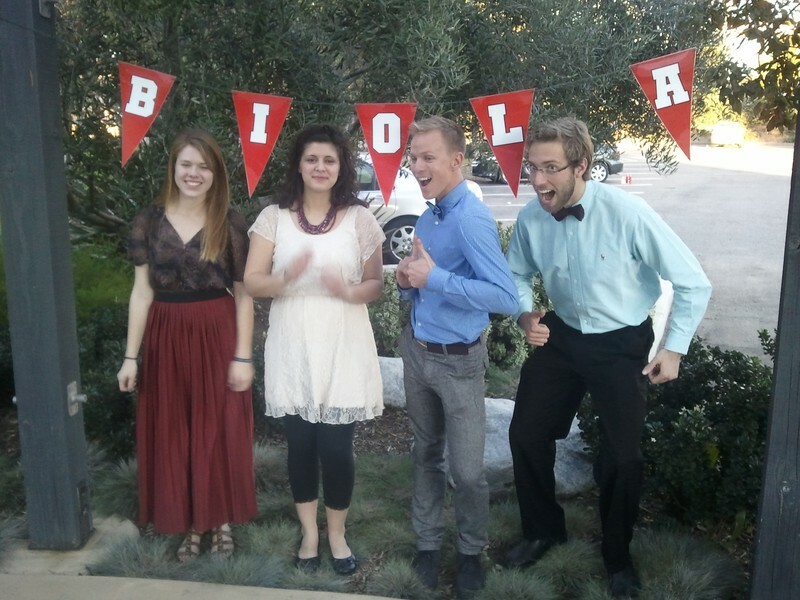 Several other Biola students from the Conservatory shared how the Conservatory is preparing students to impact the world for Christ through music.